Here are answers to common questions about The Financial Brand’s “Power 100” database, a list of the top 100 banks and the top 100 credit unions on Facebook, Twitter and YouTube. If you think your bank or credit union should be listed and it isn’t, click here. What is the Power 100? 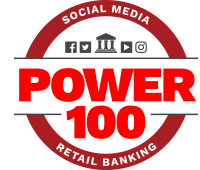 The Power 100 is a list of retail banks and credit unions using major social media channels. Parameters include the most Facebook ‘Likes,’ most Twitter followers, most tweets sent, most Twitter accounts followed, most YouTube video views and most YouTube subscribers. There is also a singular ranking based on most overall activity. Why was the Power 100 database created? The Financial Brand created the Power 100 database with the hope that it would help bank and credit union marketers more effectively evaluate their social media efforts. The “Top 100” lists should help those in the financial industry identify and analyze institutions that are likely to represent the best social media practices out there today. How is the Power 100 “Total Score” calculated? Yes, this system is subjective. But it has been carefully weighted (1) to adjust for the relative value of each social channel, (2) based on the range and averages for the financial industry, and (3) to adjust for the ease/difficulty of growing an audience in each channel. Who is included in the Power 100? Inclusion in the Power 100 is limited to financial institutions who (1) provide retail consumer financial services, and (2) conduct the bulk of their marketing in English. This includes — but is not limited to — banks and credit unions in the U.S., Canada, the UK, Australia, New Zealand, India, Singapore, the Philippines, Ireland and South Africa. You need to qualify for ranking inside the top 100 on at least one list before The Financial Brand will begin to collect and report your data. We have multiple Facebook, Twitter and YouTube accounts. Which one was used in the Power 100? If you have multiple accounts at any social network, The Financial Brand will only include one in your Power 100 profile. This will be the Facebook page with the most ‘Likes,’ the Twitter account with the most followers, and the YouTube channel with the most video views. If you would like The Financial Brand to reference a different social media account than one we are currently using, please contact The Financial Brand and we’ll update your profile stats in the next quarterly update. You weren’t. At least not on purpose. If your bank or credit union should appear on one of the Power 100 ranking lists but doesn’t, that simply means The Financial Brand has not yet ran across one of your social media accounts and you need to add your financial institution to the database. Please realize that there is no practical way to find every bank and every credit union on Facebook, Twitter and YouTube. There are roughly 30,000 financial institutions in the English-speaking world, and at least 65% of those are involved in at least one social channel. That means there are approximately 50,000 social media accounts The Financial Brand could track — impossible, especially when you have to find each one “manually.” Compounding the challenge, none of the social networks allow you to pull user/profile stats through API hooks for large databases. We have to load every single social media page one by one to collect and tabulate our data. How can I add my institution to the Power 100? Easy. If your institution qualifies, just fill out the form on this page here. When is the Power 100 updated? The Power 100 is updated quarterly. All data has to be collected and tabulated manually, as there (at present) no efficient, affordable system to automatically pull stats from three different social networks. For instance, Twitter caps the number of queries you can make through their API at 15 per 15 minutes. Ideally the list would be updated automatically and in real-time. If/when technological advancements allow for an automated system, The Financial Brand will try to implement it. I submitted my institution to the Power 100. Why it isn’t showing up? If your institution qualifies for inclusion in one of the Power 100 lists, it will appear the next time the database is updated (quarterly, four times per year). The stats for my institution aren’t correct. How can this be fixed? Statistics for social media accounts is collected manually and updated quarterly. This means your current level of social media activity may not be reflected in the current Power 100 rankings. If however, you feel there has been a serious error, please contact The Financial Brand and we’ll do what we can to fix it. 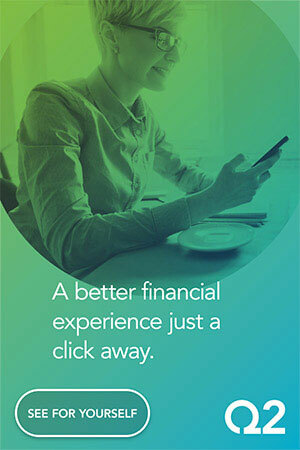 Please contact The Financial Brand and we’ll do our best to answer your question.